50 Chrome Strat Tele,P,J Bass,Control Plate,Back Plate, Pickguard Screw For Fender NEW!!! 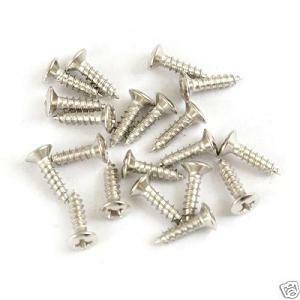 I fink better than genuine Taiwan Fender screws. Perfect. I think you would find it hard to beat price and quality anywhere else.